Tickets available for purchase at the door at the venue. 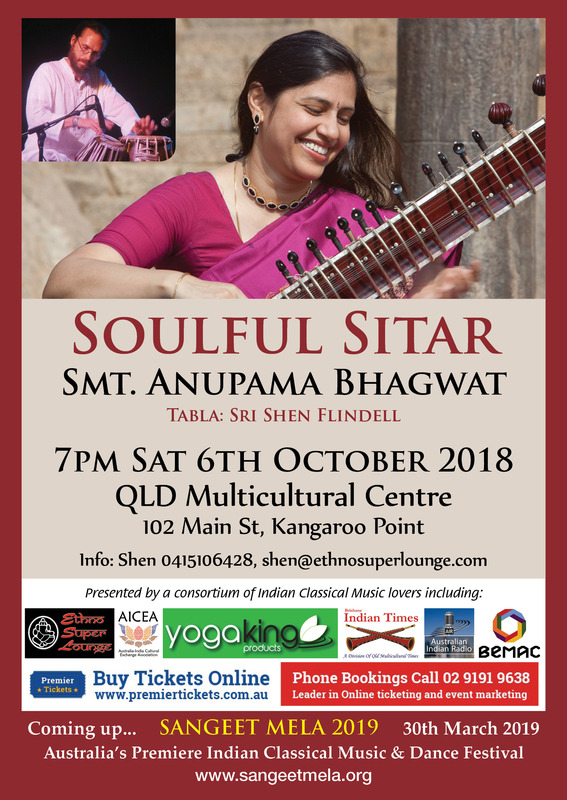 The team behind Sangeet Mela are delighted to host brilliant sitarist, Anupama Bhagwat for an evening of “Soulful Sitar” at Queensland Multicultural Centre on Saturday 6th October from 7PM. Tabla accompaniment by Shen Flindell. ANUPAMA BHAGWAT is an internationally acclaimed, refreshingly versatile sitarist. She is a leading disciple of Late Pt. Shri Bimalendu Mukherjee (father of Pt. Shri Budhaditya Mukherjee) the disciple of Late Ustad Enayat Khan. Playing in Imdadkhani Gharana style, she is one of the finest who has acquired the finesse and technical nuances of the Gayaki Style while bringing out its lyrical beauty and subtly nuanced style modeled upon the human voice with the emotive cadences of sitar. 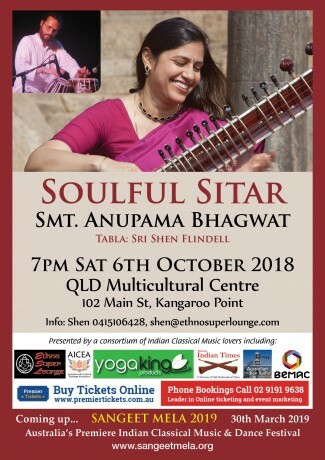 The team behind Sangeet Mela are delighted to host brilliant Bangalore-based sitarist, Anupama Bhagwat for an evening of “Soulful Sitar” at Queensland Multicultural Centre on Saturday 6th October from 7pm. 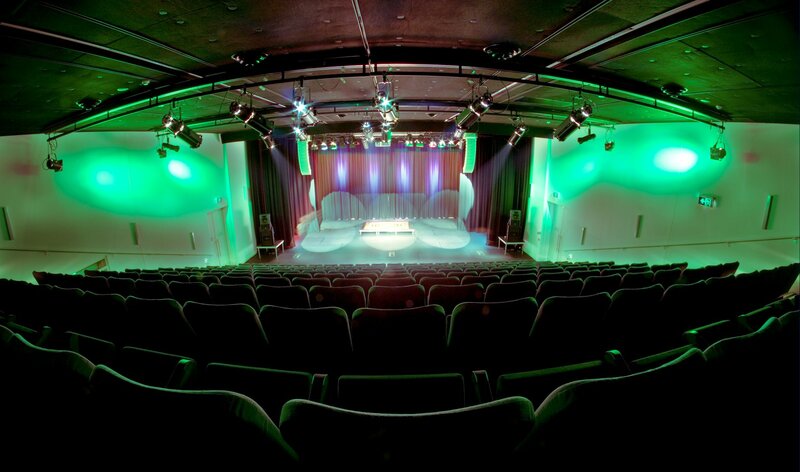 Premier Tickets Australia is proud to be the online ticketing partner for Soulful Sitar – Smt Anupama Bhagwat.